Embedding environmental management into your business will deliver true commercial benefits. Training staff on their roles & responsibilities is critical in finding improvements and cost savings. There has been a 38% rise in people qualifying in environmental-related subjects over the past nine years, according to a study by the Higher Education Statistics Agency, with significant increases in the last two years. If you are new to environmental management, training will get you started. If your company already has an Environmental Management System in place, then training will help you with the much needed ‘continual improvement’. A leading certification body recently reviewed all of its clients’ management systems and the types of non-conformances raised against the various standards (environmental, H&S or quality). Consistently they found that, regardless of the standard, more non-conformances related to training and communication than any other. Make sure that your staff are engaged and properly trained to avoid these problems.  ESHCon offers training courses for people in businesses with responsibility for environment, facilities, finance, management, publicity and H&S. Our one-day introductory course is for all staff and managers, and a five-day course is specifically for those taking on environmental responsibilities. Both provide a recognised qualification from the CIEH (Chartered Institute of Environmental Health). See our Training Services page.